While the ability of even unknown brands to compete in the true wireless space continues to be one of the categories’ biggest allures, this laissez-faire quality doesn’t necessarily mean that every set of earbuds with an unfamiliar brand attached is going to be a winner. For every Zolo, you’ve got a NOVA. Sure, it’s nice to have options beyond the usual major tech brand like Samsung and Apple. However, those extra options aren’t always going to be leaving your comfort zone for. 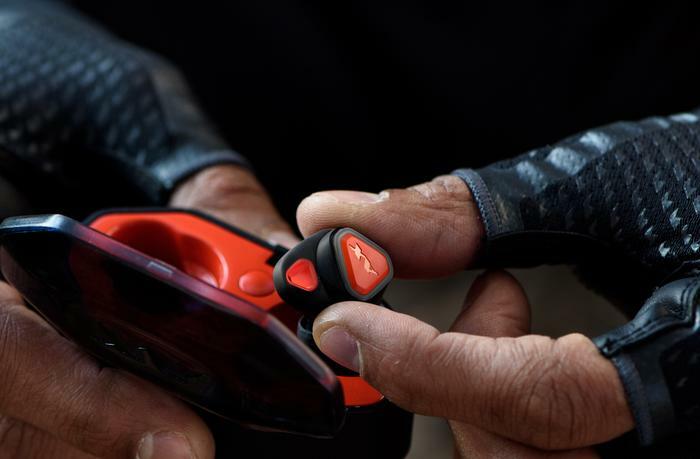 AXUM’s Gear True Wireless Earbuds sit somewhere in the middle. They aren’t awful - but didn’t exactly leave me wanting to endorse them either. There’s some decent ergonomics and surprisingly good sound quality here, but it’s ultimately held back by frequent connectivity issues and some disappointing material design. Like a lot of true wireless earbuds, they’re a bit of a mixed bag and the math just doesn't always shake out in their favor - which can get frustrating fast. Battery Life: 3 hours, 21 hours total, 100% charge in 60 mins. When I reviewed the 3SIXT, I thought I had found the flimsiest build quality that the true wireless earbuds category had to offer. However, after some time messing around with the AXUM Gear, I’m going to have to give the latter the crown. The AXUM Gear earbuds themselves carry a really cheap plastic feel-factor. That said, to their credit (and despite this first impression), they proved surprisingly comfortable to wear and do come bundled with the standard selection of earbud and ear-tip options. The earbuds do boast 3 hours of battery life per session, which is pretty standard but the six charges held by the case goes above the norm. Speaking of the charger, it too boasts a pretty uninspiring design and unimpressive build quality. For everything I like about the AXUM Gear’s design, there’s some detail that irks me. The sweat proof coating is promising but it’s slightly undercut the absence of any formal IP-rating. Again, even some of the cheapest true wireless earbuds in the game have the AXUM outgunned on when it comes to feel, form-factor and aesthetics - and, at a glance, the first impression doesn’t exactly fill you with confidence. I’ll be honest, based on the price and the build-quality of the AXUM GEAR Bluetooth Earbuds, I wasn’t expecting too much in terms of audio quality. Fortunately, these earbuds managed to surprise me here as well. The 8mm dynamic driver really leans into the bass-side of things and delivering genuinely impressive results - even if it’s far from the best the category has to offer. While the fit on the earbud didn’t do a particularly great job of isolating me from outside noise, I’d still generally rate the AXON Gear pretty highly when it delivering a high-quality, bang-for-buck, audio experience. At least, on that very specific front. When it comes to connectivity, the two earbuds often fell out of sync - even in indoor environments, where other earbuds generally deliver their best performance. As with aesthetics, this inconsistency seats the AXUM well behind even some of the cheaper options on the table - dampening any excitement generated by its unexpected strengths. While the AXUM Gear Bluetooth earbuds aren’t without their strengths, there’s just a too little many weaknesses here to ignore - even with the cheaper-than-average price. If you’re looking for cheap true wireless buds that get the job done, I’d probably opt for the BlueAnt PumpAir or Zolo Liberty+ before these. And if you’re willing to spend a little more, Samsung, Jabra and others have options that deliver a far more even experience. The unexpected quality of the drivers and ergonomics make the the AXUM Gear worth consideration, I’m just not sure it’s worth recommendation.